Cho Yang-Ho arrives at the Seoul southern district court on July 5, 2018 in Seoul, South Korea. 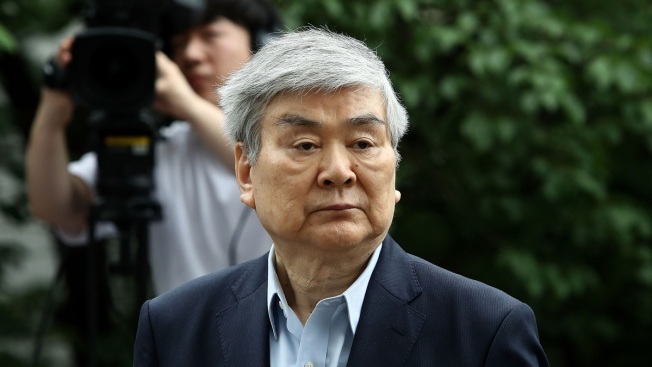 Cho Yang-ho, the chairman and chief executive of Korean Air whose legal troubles — and colorful daughters — kept him and the airline in an unwanted spotlight, died Sunday, the airline said. NBC News reported that Cho, who was under indictment in South Korea on suspicion of embezzlement and of having steered lucrative contracts to companies run by his family, died in a Los Angeles hospital from an illness that the airline didn't identify. Cho was ousted from Korean Air's board last month as the scandal mushroomed. He kept his positions as chairman and chief executive of the airline and its parent company, Hanjin Group.